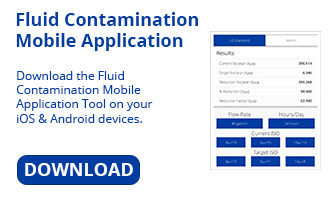 Designed as a mobile on-line laboratory to measure particulate, water, and overall oil health, the PFM75 is an easy and cost effective way to track oil condition and optimize the efficiency of your hydraulic and lube assets. Take control of your oil analysis with the PFM75 to eliminate bottle sampling error and to get your results in real time without having to wait for the lab. Install on hydraulic & lube oil systems to monitor ISO Fluid Cleanliness Code. PTK1 patch test kit provides a view of what is happening inside your hydraulic or lube system. PTK1 with on-line particle counting gives you results now and enables you to take control of your oil analysis. VTK varnish potential test kits yield Membrane Patch Colorimetric for lube oil varnish potential (MPC ΔE) per ASTM D7843-12.